Xbox owners can try out an exclusive new demo for Devil May Cry 5 starting tomorrow, December 7. Update: The exclusive Xbox demo for Devil May Cry 5 was confirmed at The Game Awards and will be available starting December 7. Additionally, the gameplay trailer leaked by Xbox Portugal was shown in full at The Game Awards and can be seen down below! Update: Xbox Portugal has removed the trailer and announcement for the Devil May Cry 5 demo from their Facebook page. On the Facebook page for Xbox Portugal, news that a Devil May Cry 5 demo is scheduled to launch tomorrow, December 7 was leaked. Based on the information provided, the demo will be exclusive to Xbox One, though no further details were shared on how long the demo will last and whether it'll be available later for platforms like PlayStation 4 or Windows PC. The Devil May Cry 5 demo trailer teased the return of the Bloody Palace. 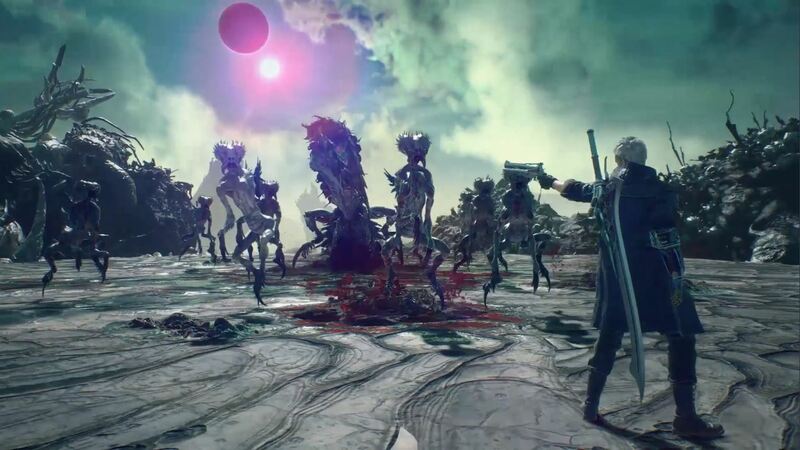 Along with the news that Xbox owners are getting a free Devil May Cry 5 demo tomorrow, new gameplay footage was shown. The text attached to the trailer talked about the game’s 4K optimization on Xbox One X, reading: “Devil May Cry 5 will reach the most powerful console in the world already in the spring! You won’t be able to resist the game optimized for Xbox One X at 4K and HDR! The demo is available tomorrow!" Overall the trailer looked amazing and got us excited for the game's release early next year. Later today, there will reportedly be even more Devil May Cry 5 news at The Game Awards which kicks off at 5:30 p.m. (PST) and 8:30 p.m. (EST). We're guessing the trailer pulled from the Xbox Portugal page will be put back up after The Game Awards concludes. Right now, Devil May Cry 5 is scheduled to release on March 8, 2019 for Xbox One, PlayStation 4, and Windows PC. As we wait for The Game Awards to begin, what do you think of the news that Xbox One owners will be able to check out an exclusive demo starting tomorrow? Are you planning on trying the game out on your Xbox? Let us know down in the comments below what you think of the Devil May Cry 5 demo news!